Most real estate agents think that to get into the front page of google, all you have to do is include a few keywords in your copy, and that’s about it. We’re here to tell you that it’s not as simple as you think it is. The ultimate goal for every business owner is to boost sales. Real estate is no different. Digitally, this can be achieved by gaining a high rank in web searches driving organic traffic, generating leads and converting clients. All of this, and more is possible through strong Search Engine Optimization (SEO) practices stemming from sound strategies. In this guide, we will tell you how to transform your real estate company into a digital marvel, and thereby having you sell properties in no time! Read on to find out how to SEO for an existing website. Let’s begin by understanding what real estate SEO actually is. Real estate SEO is the use of best SEO practices to make real estate websites search engine compatible. In simple terms, it makes your website, or an agent’s or broker’s, appear higher in Google’s search pages. To completely understand real estate SEO, you need to first understand consumer behavior. Let’s start by figuring out what your customers search for, why are they searching for it, what they see when they search, and how to make your real estate company the first one they see when all this happens. The primary goal of your website should be to attract and engage your potential leads at some point when they are doing one of these three things. For that, you need to be there, be useful, and be quick. For this you need to understand how a potential buyer might use Google to buy a home, and how you can position all your content at each point of this search. The first Google-search is most likely going to be about the big picture (Learning something new). Words like best neighborhood in Dubai, best public schools near Dubai Water Canal, and so on. Their searches will get more specific as they continue to narrow down on the location. Now, they rely on Google to help them decide with search terms like ‘Average price for Dubai villa’, ‘Apartments with beautiful views near Dubai Water Canal,’ and so on. If case you have content for any of these topics, you probably have grasped your potential lead’s attention during one of these three searches. Producing relevant content is key to a higher ranking in Google. However, a really well-written article for something no one searches for is not going to get you any leads. To find out what your leads are searching for, you need to do something called as ‘Keyword Research’. Through keyword research, you need to find out how many people are searching for a given term (search volume). One of the top tools used for keyword research is Google AdWords. Google has the most up-to-date- and accurate number of people searching for a given term, including searches within a geographic location. To access the search volume, you need to have an active Google AdWords Campaign. Now that you have a brief understanding of how potential leads use Google search, let’s look at Search Engine Results Pages (SERP) – what your leads see after they run a search. Keeping up with the latest changes in SERP is crucial for SEO practices due to its dynamic nature. SERPs are mostly local and sometimes unique. SERPs are focusing more on local search and offer diverse results based on location. That means if your lead is in Dubai and searches for ‘real estate agent’, they will get local results. Your lead’s search history also plays a vital role. If two leads in the same location search for generic terms, their results will be local, but might differ based on each other’s search history. The first content your lead will see are called ‘Paid Ads’. They are labeled as ads and appear at the top, resulting in more clicks since they are paid. Right below the four AdWords ads is a section known as the local pack. Local businesses on the map, and three text listings with information such as phone numbers, ratings, and working hours are included in this section. The companies listed in the local pack can change from time to time. And it is because of this, you have a decent chance of being listed in this section since Google will see you as a legitimate business. The best way to get listed in the local pack is to ensure that you’re listed on Google My Business and other directories such as Facebook, Google+, and so on. Positive reviews, accurate and consistent content on your website and other social media pages can increase your chances of getting listed in the local pack regularly. The next feature of the SERP after the local pack is ‘Organic Search Results’ – the pages that Google thinks are relevant to the search term. Backlinks – Links to your site and other websites. Quantity – The more the backlinks, the more chances you have to get listed. Relevance – If you have relevant real estate backlinks in your website, Google assumes that your site will be useful to other real estate agents or brokers. If not, your chance of getting a higher rank will be lower. Keywords – Even with 100 real estate backlinks, you will not rank well if your content does not have relevant keywords. Length – Google favors longer articles, a minimum of 1000 words. Activity – Google assumes that a high-quality article is one where people engage with it (Like, share, comment, or simply updating them with different keywords). Speed – Since Google prefers giving their customers relevant and useful content, a slow website beats the whole purpose when there are millions of faster websites trying to give information. Responsiveness – Mobile-friendly websites that are quick to load will affect your position in search results. Bounce rate – Google also measures the average time and percentage consumers spend on your page. 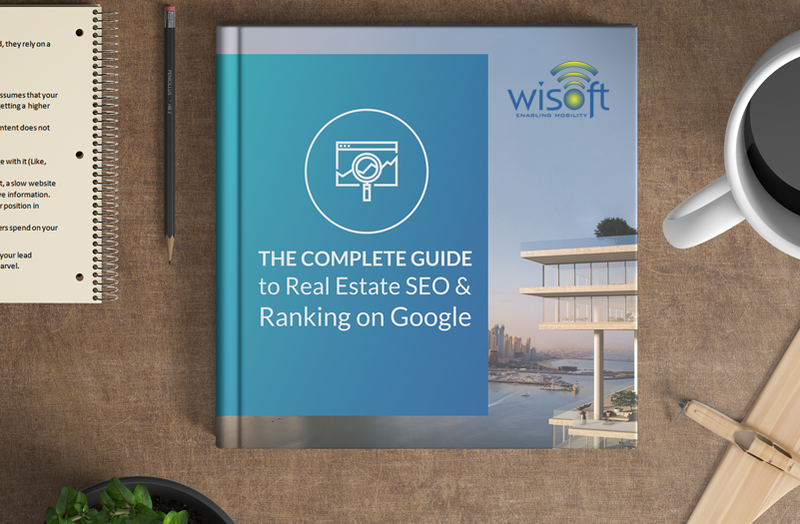 Now that you know all there is about real estate SEO, you can use it as a central part of your lead generation and inbound marketing strategies to transform your website into a digital marvel.